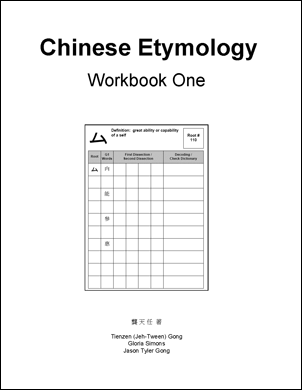 Chinese Etymology Workbook One, by Tienzen (Jeh-Tween) Gong, Gloria Simons and Jason Tyler Gong, 2009, Chinese Etymology Institute, Los Angeles. First edition, 251 pages. 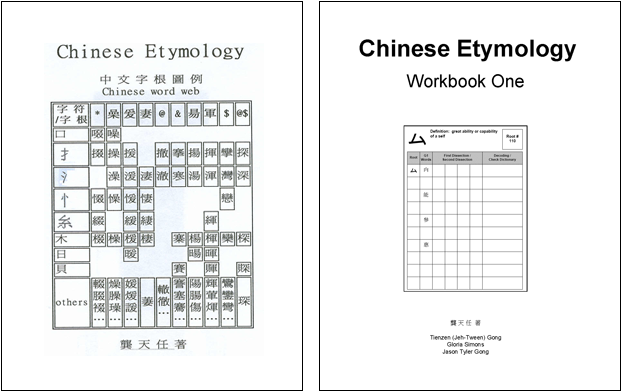 Chinese Etymology, by Tienzen (Jeh-Tween) Gong, 2007, East-West Press, Los Angeles. 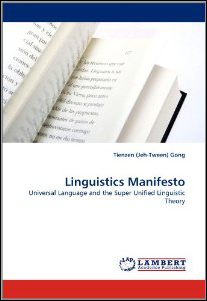 Third edition, 305 pages. Buy the bundle and save $100.00! 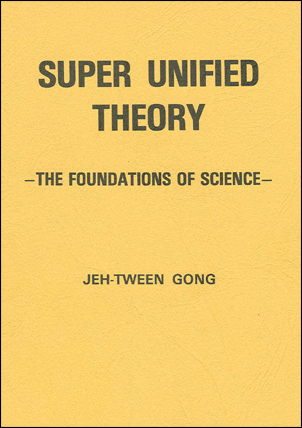 Super Unified Theory: by Tienzen (Jeh-Tween) Gong, 1984. 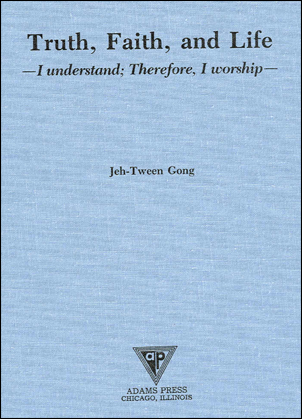 Truth, Faith, and Life : I understand, Therefore, I worship by Tienzen (Jeh-Tween) Gong, 1990, Adams Press, Chicago. 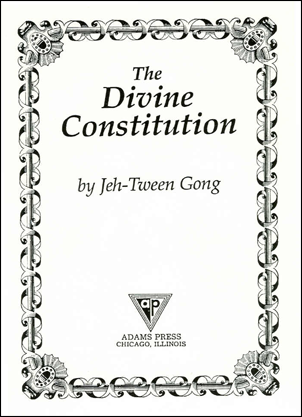 The Divine Constitution by Tienzen (Jeh-Tween) Gong, 1991, Adams Press, Chicago. 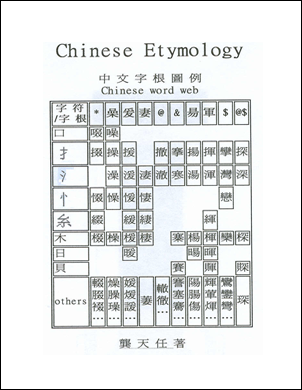 Chinese Word roots and grammar, by Tienzen (Jeh-Tween) Gong, 2006, East-West Press, Los Angeles. 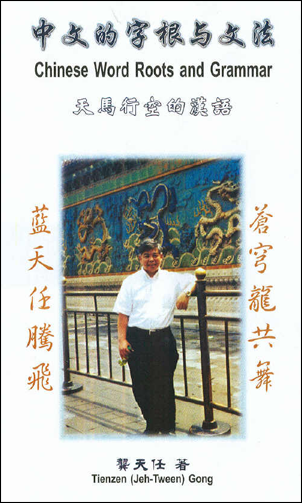 Third edition, 320 pages.